The initiative originated when we learned about a call for proposals to submit events for the Art of Play, organised by the City of Chicago. We decided to submit two different events. 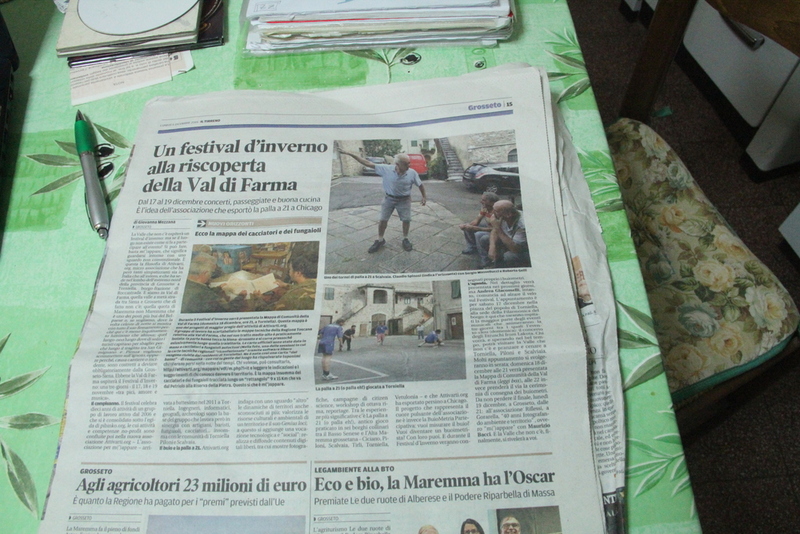 the game has a strong “local” character, as it it clearly related to a specific area of Italy, while maintaining relationships with similar games in other parts of Italy and Europe. it has interesting implications in relation to sustainable development: the game has in fact an almost null environmental impact, as it is played in the squares of villages, with no need for additional infrastructure, and since the ball is built with mostly with recycled material. Why traditional Italian card games ? Why not ? …these are nice games! To learn more about this ancient game, please see the “palla a 21/palla eh!” section on pibinko.org. 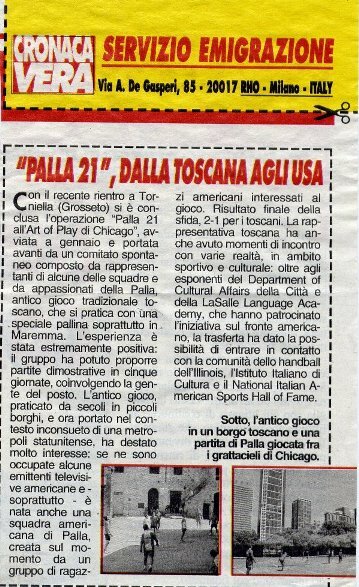 To learn more about the story of the palla a 21 game in Chicago, search Chicago on pibinko.org o write to info@pibinko.org.